CBS officially confirmed its popular drama NCIS will return for a 17th season. Season 16 kicked off on September 25, 2019 and is currently airing on Tuesdays at 8pm ET/PT. The series debuted in 2003 and has been ranked first among scripted dramatic programs for the last eight of nine seasons. According to CBS, the 16th season has been averaging 16 million viewers. 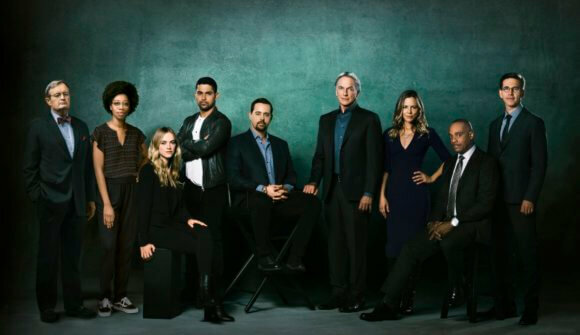 NCIS is the latest series to earn a renewal order from CBS for the 2019-2020 primetime season. CBS previously confirmed renewals for Young Sheldon, Mom, Criminal Minds, FBI, God Friended Me, The Neighborhood, and Magnum PI. With liberal doses of humor, it’s a show that focuses on the sometimes complex and always amusing dynamics of a team forced to work together in high-stress situations. NCIS Special Agent Leroy Jethro Gibbs (Mark Harmon), a former Marine gunnery sergeant whose skills as an investigator are unmatched, leads this troupe of colorful personalities. Gibbs, a man of few words, only needs a look to explain it all. The team includes NCIS Special Agent Timothy McGee (Sean Murray), an MIT graduate with a brilliance for computers; NCIS Special Agent Eleanor “Ellie” Bishop (Emily Wickersham), a mysterious mixture of analytic brilliance, fierce determination and idealism who specializes in international threat assessment and global preparation; the charismatic, unpredictable and resilient NCIS Special Agent Nicholas “Nick” Torres (Wilmer Valderrama), who has spent most of his career on solo undercover assignments; and NCIS Special Agent Jacqueline “Jack” Sloane (Maria Bello), who built her reputation as the agency’s premier forensic psychologist and enjoys challenging Gibbs. Assisting the team is medical examiner Dr. Donald “Ducky” Mallard (David McCallum), who knows it all because he’s seen it all – and he’s not afraid to let you know it; Ducky’s protégé, the naïve Jimmy Palmer (Brian Dietzen), who graduated from assistant to fully licensed medical examiner who now runs the morgue and Forensic Scientist Kasie Hines (Diona Reasonover), Ducky’s former graduate assistant who impressed Gibbs with her keen forensic skills during a critical time for the team. Overseeing operations is NCIS Director Leon Vance (Rocky Carroll), an intelligent, highly trained agent who can always be counted on to shake up the status quo. From murder and espionage to terrorism and stolen submarines, these special agents investigate all crimes with Navy or Marine Corps ties.